Venues Event Management has been appointed by oil and lubricants firm Castrol to manage its International Key Accounts Managers Sales conference, which takes place in Hamburg on 16 and 17 November. Venues Event Management has won a three-way pitch run by Castrol and been appointed to manage the oil and lubricants firm's International Key Accounts Managers Sales conference. The event, which takes place in Hamburg on 16 and 17 November, will be attended by 50 staff from Castrol’s German and UK operations. The conference will be held at the Mövenpick hotel, while a gala dinner will take place at the O2 World Sporthalle arena. Venues Event Management is handling aspects of the event including the registration website, delegate and event management, an off-site dinner, teambuilding activities and content creation. Kim Collins, the agency’s operations manager, said: "Castrol organise a number of these country conferences and as we have previously worked on similar events, we had an in-depth knowledge and understanding of what was required to ensure these events met their objectives." Nick Harley, Castrol sales director, added: "Due to the nature of this event, it had to go to tender and we invited three agencies to pitch. 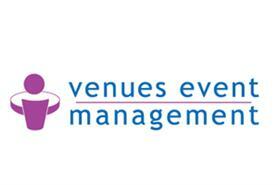 Venues Event Management presented the most creative and suitable solution. This coupled with their passion and experience made them the obvious choice."